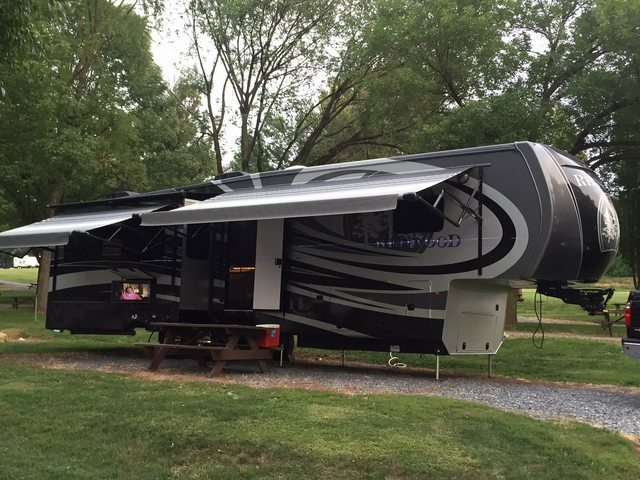 Any suggestions for RV parks in the area for an extended stay ? We've stayed at Twin Fountains on the north side (beautiful & pricey) & at Rockwell on the east side, both very nice parks. There is another one just on the west side near the intersection of I-40 and Mustang Rd. southwest corner. Never stayed there but it's always full of campers. Be sure when reading these reviews to remember most are negative, most folks don't post the good just the bad. IMHO poor park wifi or the lack of free dog poop bags (yes I just read one that gave the park 1 star cause there were no free poop bags) does NOT justify a poor rating & sorry JBT but I've noticed that most negative reviews state "we camped in a motorhome". Are you saying that some of the MO-HO folks are SPECIAL ?? I'm actually going up there to do some part time work. Not going until the first of December and will probably be there off and on over the next couple of years. We went up and looked at a few parks a couple months ago just to get an idea of what's available. I'll be honest, I'm finding that Oklahoma City is one of the hardest places I've come across to find a place to park for a month or more. Twin Fountains says they are full as far as monthly's go....but check back every day since that could change. We visited Mustang Run and it's pretty much the same story and if they did happen to have a site, they won't reserve it for you until a few days before you arrive. Makes it awful hard to pre plan. There's a park in Newcastle which is south of town but convienent to the airport which is where I'll be working. Not particularly highly rated mostly because the lack of amenities I'm guessing. But otherwise seems like it might work for us. Checked with them and they have spots but won't reserve one. Said call them a couple weeks before we get there, if there's a spot available they'd hold it. The catch is, we'd have to overnight a check for the first month and the clock would start ticking on our funds as soon as they got the check....We'd be paying for a spot before we even arrived....ugh. Anyway still looking, I'm afraid we are going to have to take a spot at a less desirable location initially and then try to get into a better place. NO WAY! Just seems odd that it's that way!